We are so glad you are considering Echo Lake Camp for your next vacation. Here, on the quiet side of Mount Desert Island, in the heart of Acadia National Park, you will find a rare meeting of mountains and ocean that offers dramatic vistas and unbeatable hiking. This lakefront camp in Mount Desert, Maine, is an exceptional vacation spot amid this spectacular scenery. AMC Echo Lake Camp is excited to announce our Volunteer Work Days for 2019! Our second annual Volunteer Work Days are coming up June 18-21st! Volunteers are welcome to arrive at 1:00pm on Tuesday 6/18 with a short afternoon work session. Work will continue on Wednesday and Thursday. The volunteers will depart Friday morning after breakfast and are welcome to remain at camp that day and enjoy the facility. There is a small fee of $99 per person to cover meals. Volunteers staying for week 0 are welcome to stay in camp Friday night. Please email Scott and Elly at [email protected] if you are interested in attending! Space is limited. KIDS STAY FREE first and last weeks of camp! Based on positive feedback from 2018 we are so excited to announce our Special Family Offer will return for the 2019 season! For two weeks only, Week 0 (June 22-29) and Week 9 (Aug 24-31), any paying adult guest may bring one child age 15 and under for FREE. So if you are a family of two adults and two children 15 and under you will just pay for the adults and bring the kids for FREE! ALL campers registered for Week 2 (July 6-13) and Week 3 (July 13-20) will receive a discount of $200 off the published rate! This means that a family of four will save $800! This special discounted rate is available for these two weeks only. These special offers are good for all Echo Lake Camp guests, old time campers or first time campers. 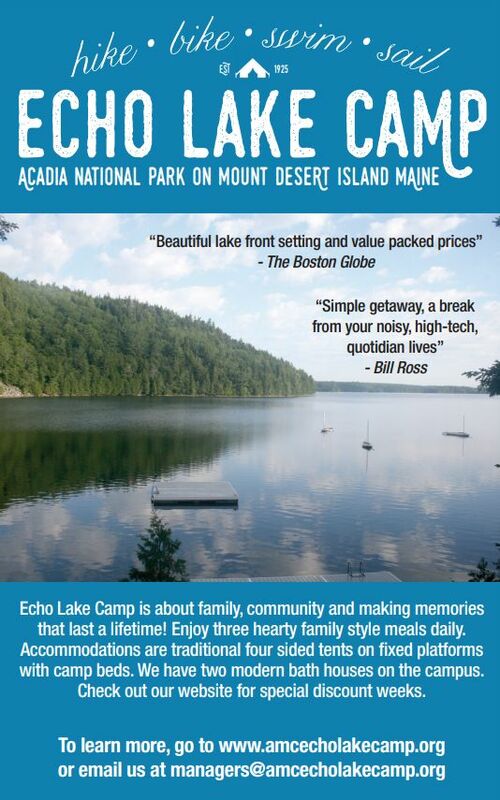 Please share this offer with friends and family who you know will love the Echo Lake Camp experience. This is an incredible value for an amazing family vacation! If you have any questions, please contact the managers Elly and Scott Preston at [email protected] Below are the dates for the 2019 season. Registration opens January 2nd.